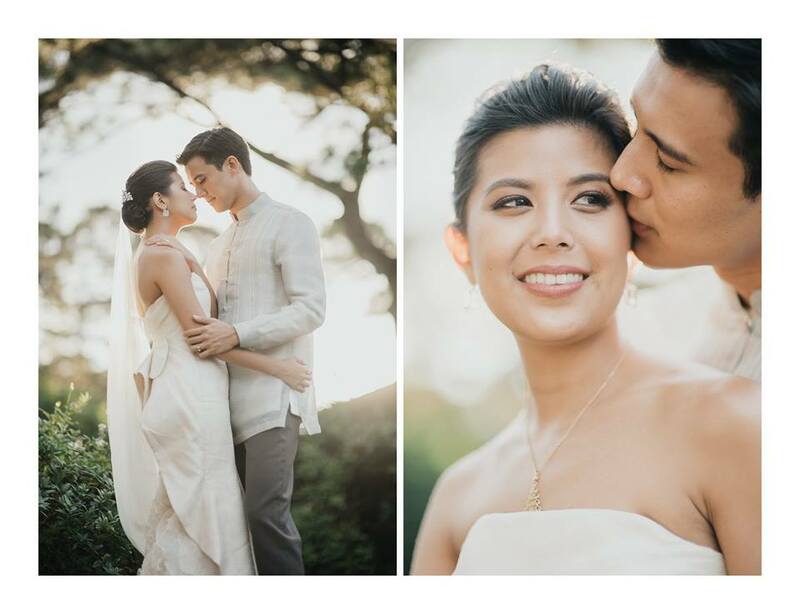 Flowers have always been an important part of Miko de Los Reyes and Nicole Tantoco’s love story. 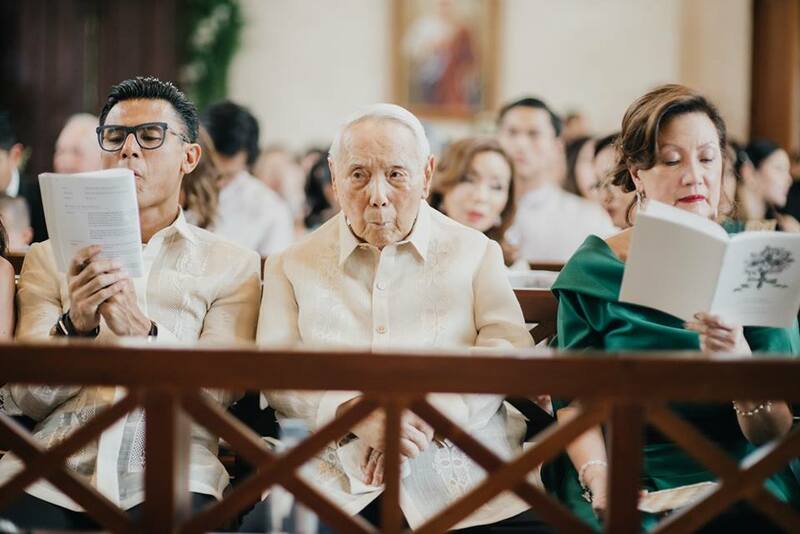 On Aug. 3, 2018, their wedding day, the Montecito Chapel was in full bloom and fragrant thanks to The Flower Farm (with the help of Greens & Blossoms of Agnes Macalinao), the cut flower business started by Miko’s Oma (grandmother), the late Ging de los Reyes. 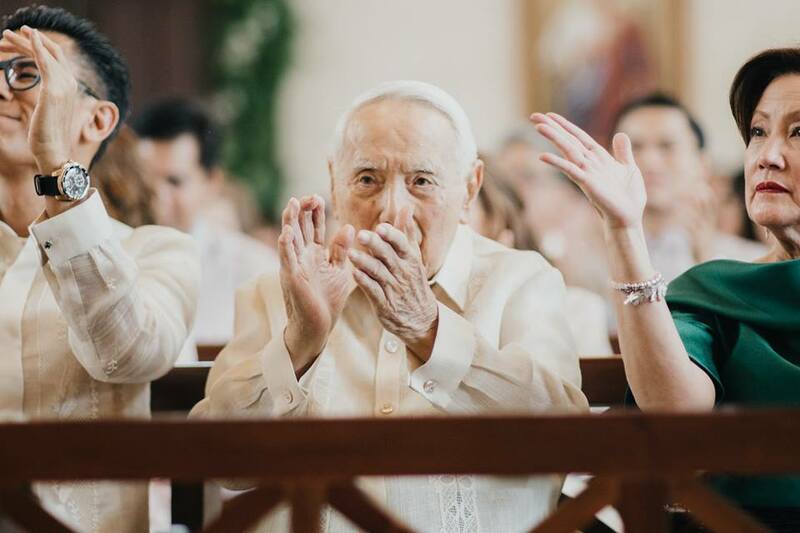 Nicole’s grandparents, Rico and Nena Tantoco, arranged that the big day’s preparations be at Sta. Elena Golf and Country Estate. It was their wedding gift. 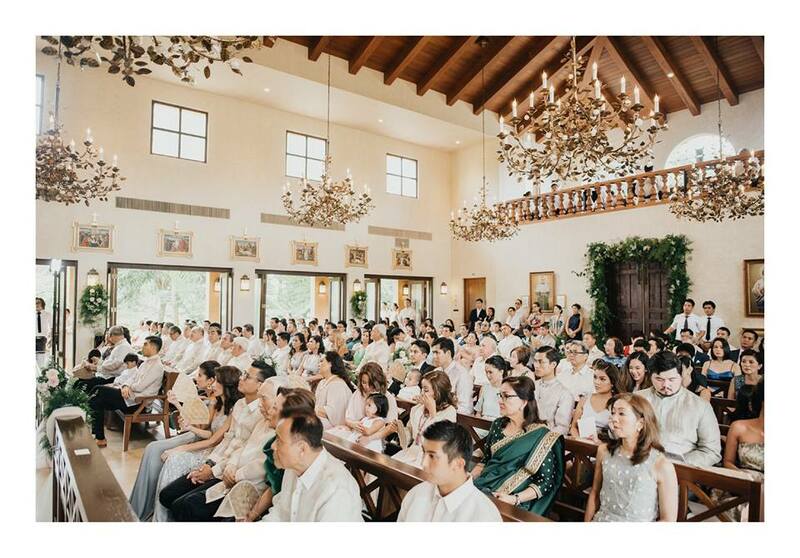 “Team Bride” got ready at Villa Marina, and “Team Groom” got ready in the guest house with a view of the water reservoir. 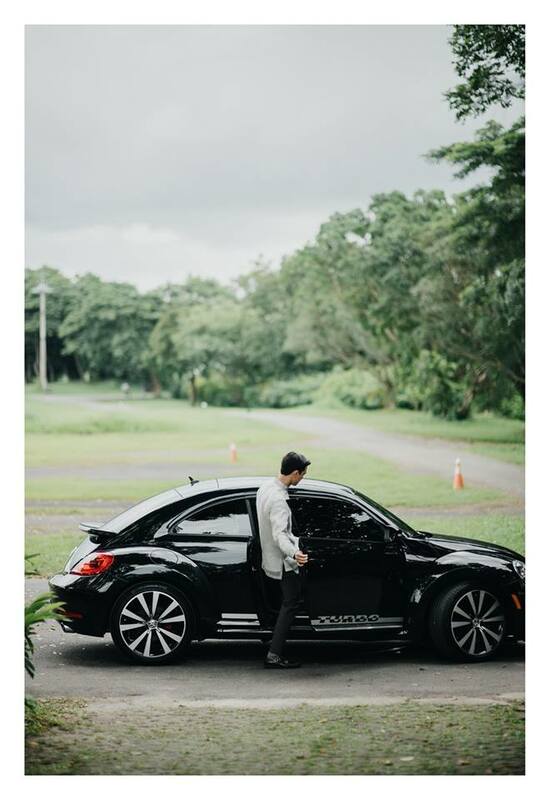 Soon it was time for Miko’s father, Timmy, a collector of Volkswagen Beetles, to drive his son to Canlubang. They took a black one. 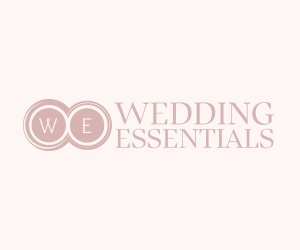 Nicole and Miko were very hands-on in the wedding preparations. Aside from taking care of the flowers, Miko painted the design on the wedding invitations. In fact, much of the decor, like the signboards, table numbers, and accessories were designed by Miko, an architect at Imagimax Interior Architecture, his mother Pinky’s business. Miko also had the wedding chair custom-made with some carvings and solihiya. Pinky also contributed very special touches to the Mass like the abaniko, as well as the missalette, which had artwork by Katarina Estrada. 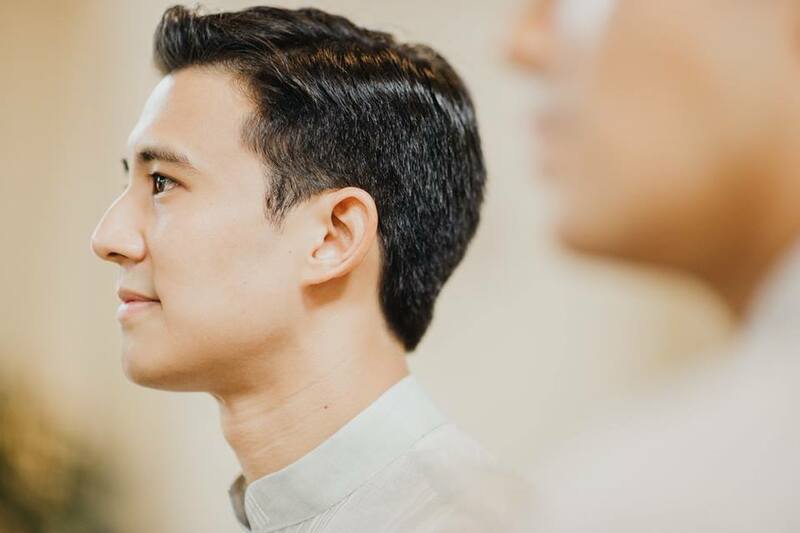 Pinky also arranged for the Taytay Youth Philharmonic Men’s Choir and orchestra. 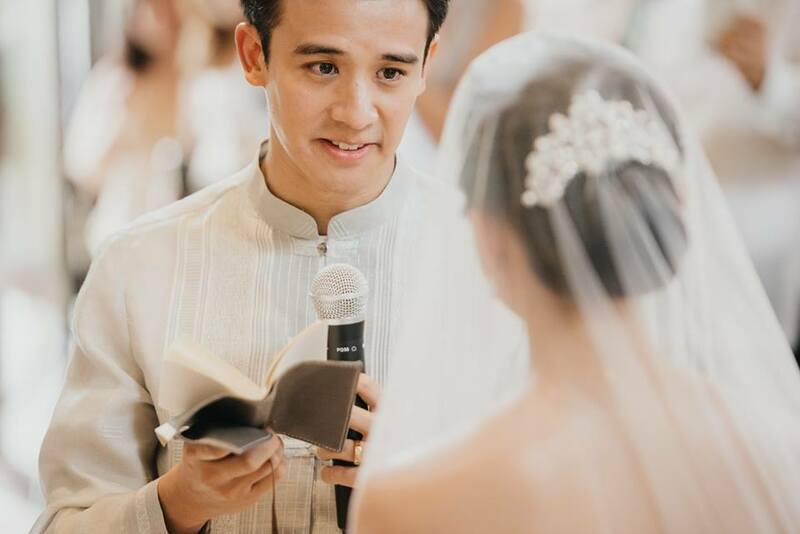 Miko’s brother Timitio was the lector and their sister Kara read the responsorial psalm. Pachelbel’s Canon in D played. 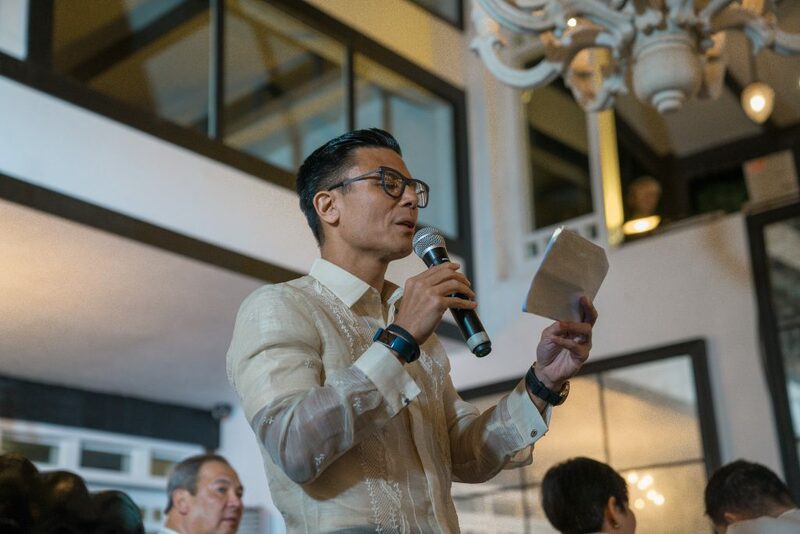 The principal sponsors were Francisco Sebastian and Enrica Sebastian, Vincent Vargas and Cedie Vargas, Edgardo Puno and Vivian Chandran, Manuel Alberto and Maritess Enriquez, Emmanuel Lopez and Katrina Tantoco-Lobregat, Raul Manzano and Anna J. Matsui. 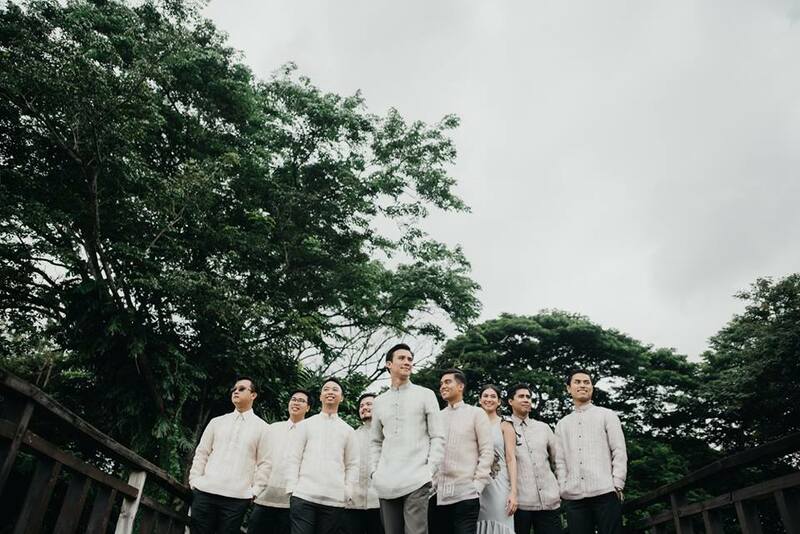 Like Miko, the best man, Jo-B Sebastian, and the groomsmen Javier Daez, Carlos Medalla, and Louis Tuason wore barongs that were on the grey-green gradient. Miko purchased the fabric and he had it dyed then tailored at King Philip. Groomsman Rachelle Sayed (Rach is female. 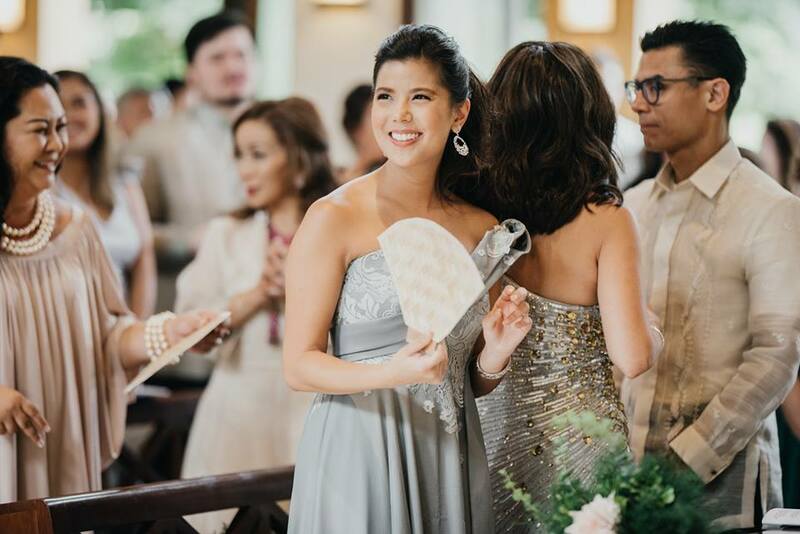 Nicole also had one barong-clad male bridesmaid, Quino de Jesus) wore Rosanna Ocampo like Nicole’s bridesmaids: Carmen del Prado, Erika Pineda, and Marga Marasigan. 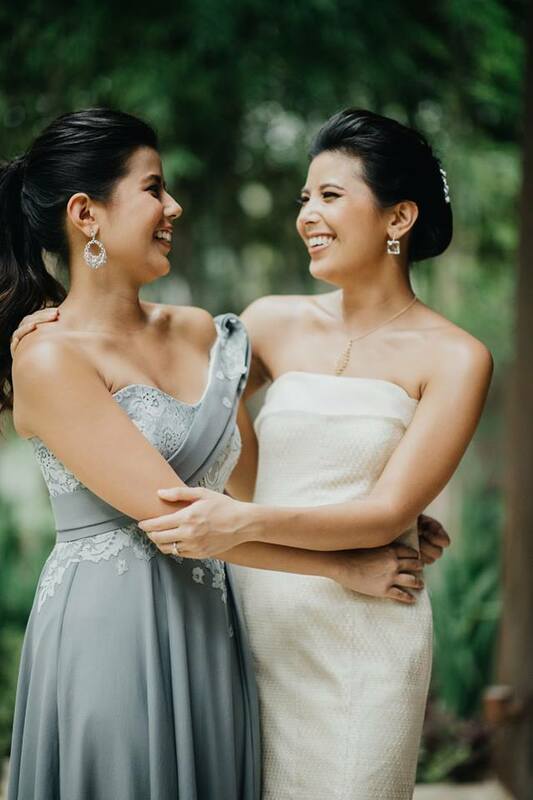 Camille Tantoco, Nicole’s twin sister, was the maid of honor. She wore Jojie Lloren. 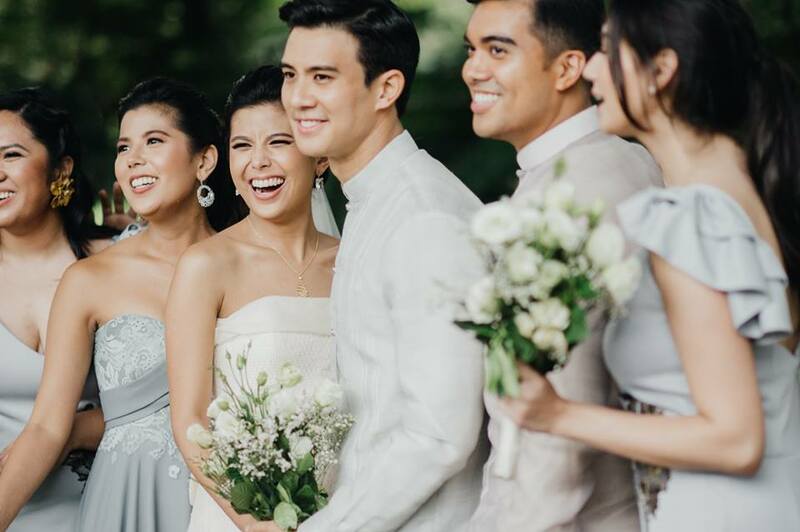 The flower girls, Olivia de los Reyes and Malia Lobregat, and the bible bearer, coin bearer, and ring bearer, Andres Meer, Kalden, and Bodhi Reyes wore Zara. 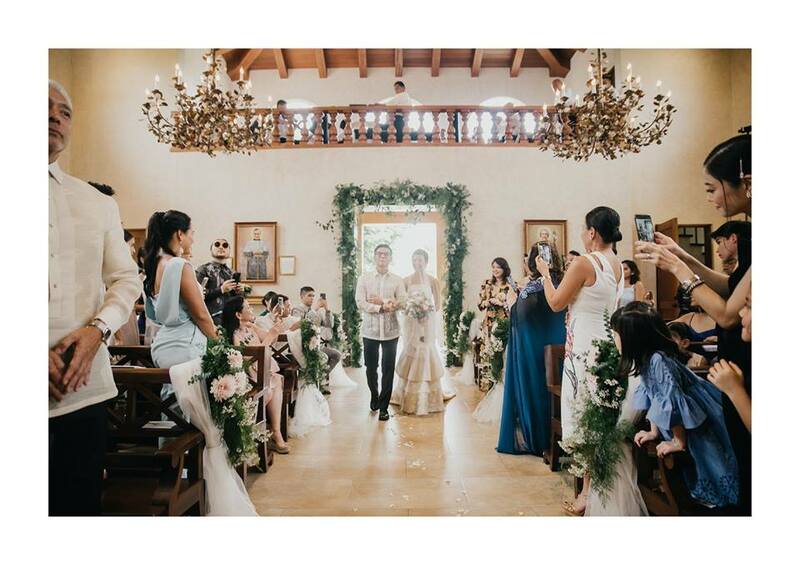 Nicole walked down the aisle wearing an embroidered piña gown by Jojie Lloren, who was inspired by Filipino botanical prints. The orchestra played Henry Mancini’s Moon River, a favorite song of Miko’s Oma. 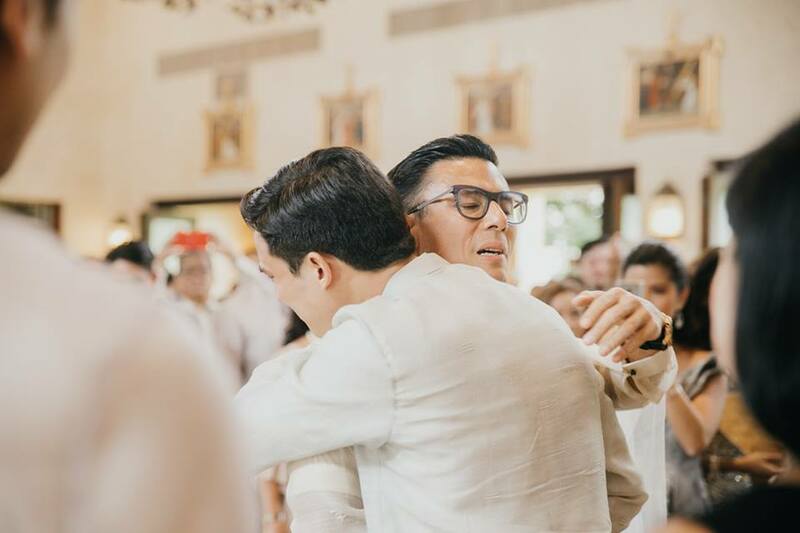 Donnie Tantoco, the father of the bride, was squeezing Nicole’s hand (he later said that letting go was the hardest thing he and his wife Crickette had to do. ), fighting back tears. 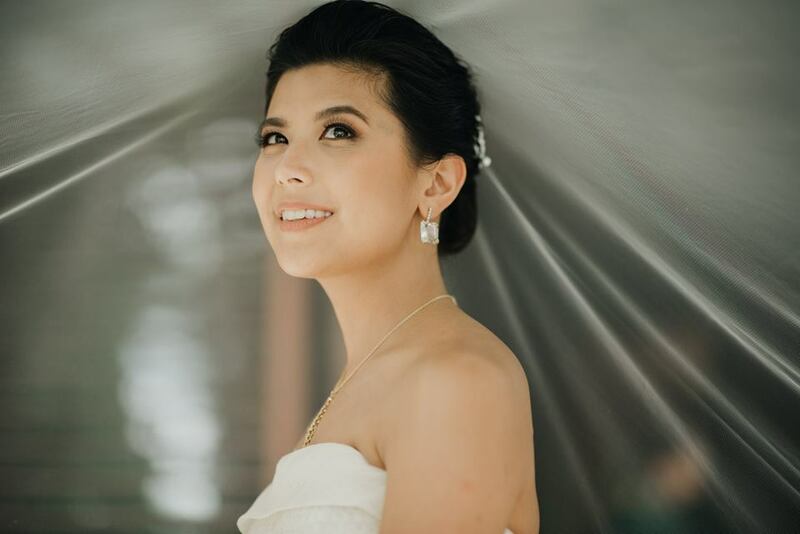 And so was Miko, who Donnie describes as not only a dream come true for his daughter but an answered prayer, his, specifically. Father Bingo Nespral was the officiating priest. 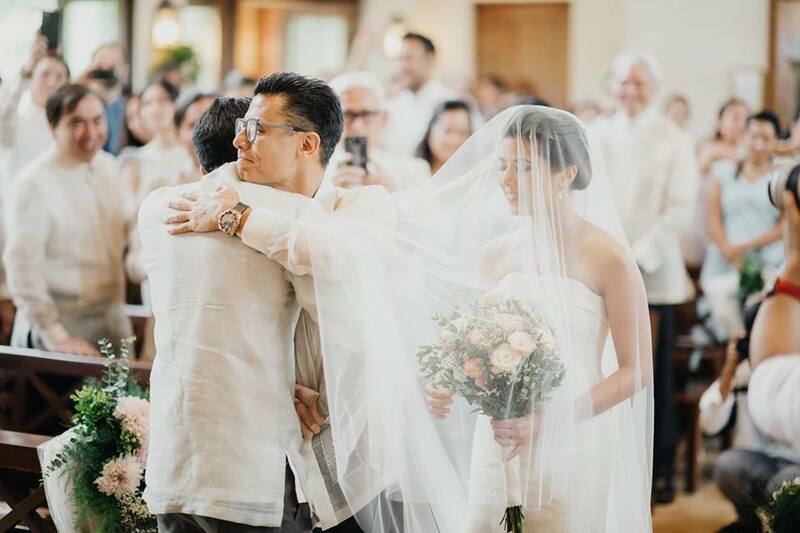 The wedding bands, engraved with lyrics from Coldplay’s Ink and the wedding date, were a gift from the parents of Miko’s friends: Ralph and Gia Suarez. At the reception, which was held at Antonio’s Restaurant in Tagaytay, we all savored Chef Tony Boy Escalante’s wedding present—the first course, Tuna Tiradito with spicy lemon ginger gelée and pomegranate. The delicious cake, a naked and rough gluten-free banana cake with Nutella and salted caramel buttercream was by Louis Tuason and Tommy Tomelden of the Sugar Garden. The giveaways were part of the tablescape: ceramic jars by EJ Espiritu in the wedding colors (royal blue, faded green blue, dark green, and brownish green). Miko’s Tita Nona gifted the couple with the MSO String Quartet to play at the cocktails and dinner. Jo-B, the best man and Miko’s best friend, also sang a set of love songs. The photo booth in the garden was very special. 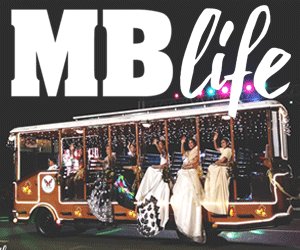 It was an arc covered in orange alstroemerias and surrounded by baskets of flowers, inspired by the moment Miko proposed to Nicole. The photographers were Myio Okamoto and Joseph Pascual, and the videographer was Ghe Consolacion. 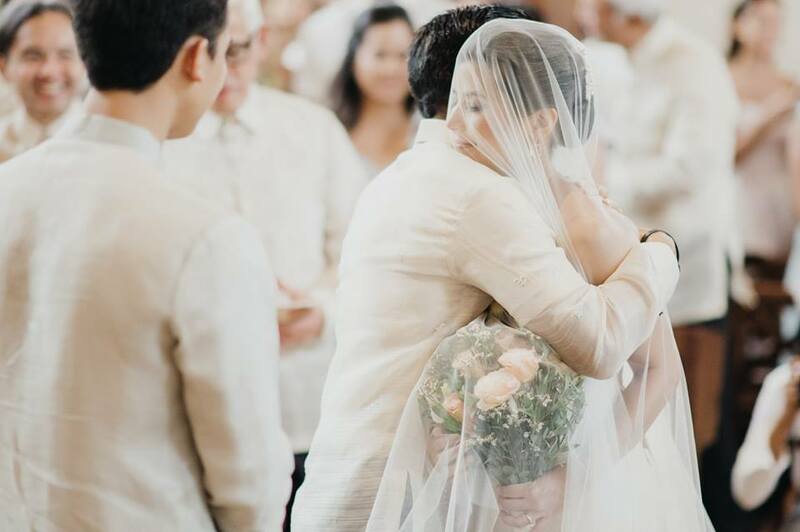 The hashtags were #MikNic2018 and #KookandPadowak, after the couple’s nicknames for each other. There was no bouquet toss. The bride, who shares the same birthday as Mama Mary, offered the flowers to the Blessed Mother. She was assisted by the groom. 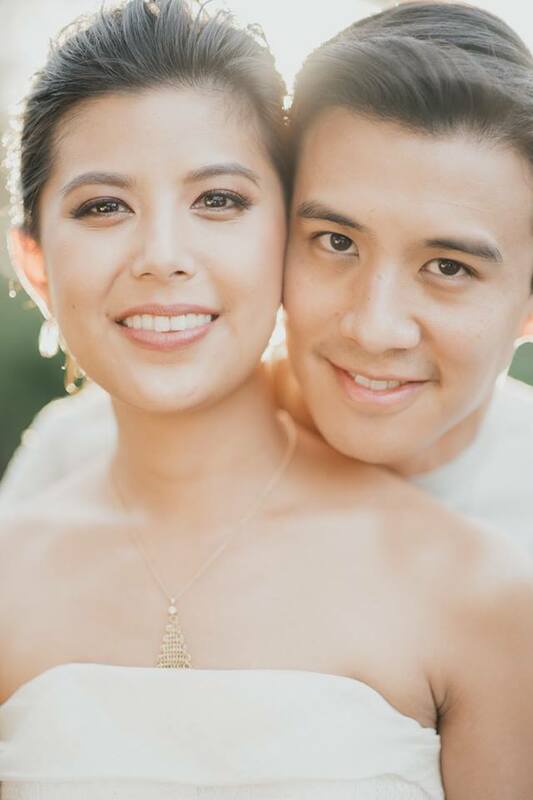 Miko and Nicole met at Nicole’s birthday party and had their first real date on Nicole’s 25th birthday. Their love, this answered prayer, is really in all the details.